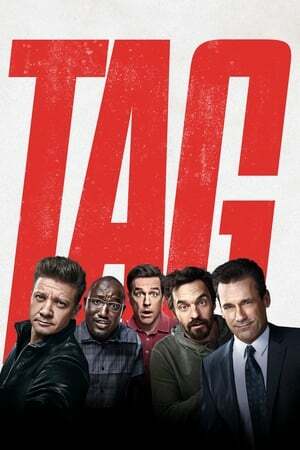 For one month every year, five highly competitive friends hit the ground running in a no-holds-barred game of tag theyâ€™ve been playing since the first grade. This year, the game coincides with the wedding of their only undefeated player, which should finally make him an easy target. But he knows theyâ€™re coming...and heâ€™s ready. I had a pretty great time with _Tag_. Maybe that's because I went to a nice theatre (which I haven't done in a while) and saw it with a couple of close friends on a very nice day, but I rather think that it's primarily because of Jeremy Renner's character. The way he's written, acted, and shot, are all pretty much flawless. Off the strength of him alone, I could probably send you out to see _Tag_, but there is a Hell of a lot else to appreciate about it too.